There’s tons of great reasons and benefits for your kid to start a collection. It’s possible that you might not be too thrilled at the idea of your kid collecting things—whether it be various toys, rocks, cards etc. You might get the feeling that starting a collection for your child is just going to add clutter to your home, and that there really isn’t any point because it’s just a bunch of stuff you’re going to have to get rid of later when she grows up. If this is how you’re thinking in regards to the idea of your kid collecting, you might want to think again about what it means for your child have a collection of her own. 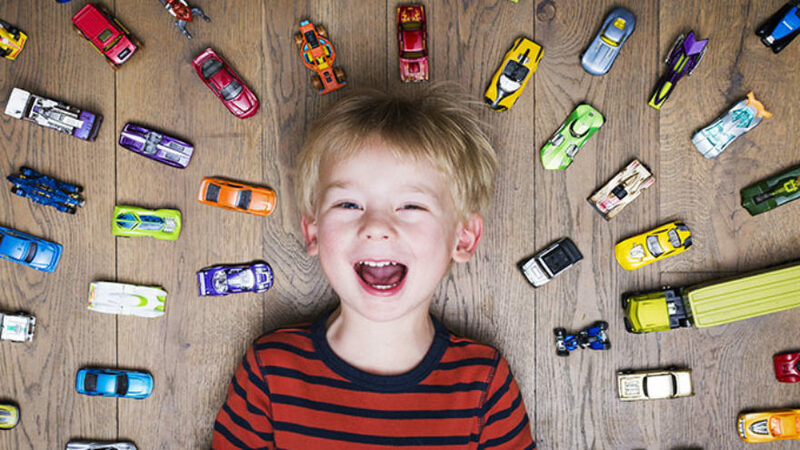 It might seem a little daunting and you might be hesitant, but if you and your kid are ready to take the plunge into the wide world of collecting, you might want to consider why it’s good to have a collection in the first place. The benefits of your kid starting a collection are plentiful and it’s about way more than just having a collection of random knickknacks; a collection gives your child the chance to create a world of her own—a collection lets her grow, lets her explore, lets her find her true self. When your kid starts a collection, what she’s doing is finding things in the world that she can identify with. For instance, maybe your kid is interested in collecting rocks; this gives her the chance to learn that she’s interested archeology, geology, or nature. If she likes to collect old and rare coins, she’ll identify with the idea that she enjoys history. If it’s baseball cards, the she’ll learn she has an interest in sports. Think of your child’s collection as a way to sort of stumble into her own identity. When your kid begins a collection, she’s finding herself and figuring out what it is that makes her such a unique, special, and interesting individual. Parts of her personality will be able to blossom and come to the surface—parts of her that maybe your child and even you didn’t know were there. When your child learns about herself and forms an identity through a collection, she’s figuring out who she is on her own—without the intrusion of you telling her who or what she is or isn’t. By letting your child collect what she identifies with, you’re giving your child the sense that she’s in fact an independent individual with her own mind. When children are given a sense of identity, they’re gaining the sense that they are independent thinkers. Finding yourself and your own individuality can be quite liberating, and this is especially true for a child who’s trying to navigate through the world by figuring out her interests. When your kid begins a collection, she’s doing more than just learning about herself; she’s learning about the world around her. Through creating her own universe and exploring that universe, she’s ultimately exploring so many fascinating facets of life. Whatever it is your child comes to identify with through collecting, she’ll be learning about the particular subject her collection relates to. Depending on what it is she collects, she could delve in to the fascinating worlds of his history, science, nature, art, and much more. 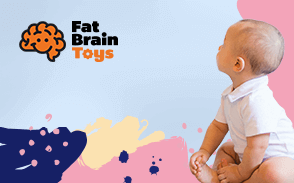 Let’s say your child wants to collect various toys, action figures, dolls etc. While you certainly want your kid to take care of what it is she collects, she’s going to want to play with her things. Playing doesn’t necessarily mean that she’s going to destroy anything and everything it is that she collects. Play is all about creativity and imagination, and a healthy imagination leads to a healthy and creative mind. Having a strong and creative mind will ultimately lead to stronger critical thinking skills which are important to anyone’s success regardless of age. Children often like to make up stories and create various scenarios when playing with their toys, dolls, or action figures. It may seem odd seeing as how it’s not a school activity or a so called educational experience, but making up stories is an excellent way to stimulate your kid’s mind. Think about it: in school children are often asked to write creative stories at one point or another. While your child might not be writing anything down when she’s using her imagination to create a story, she’s still creating one either way. This ability to create can easily spill over into her ability to be creative in a classroom. If your child is learning about science through her collection, maybe she’ll want to pretend to be one. Maybe she’ll like the idea of playing historian or archeologist. Collecting gives your child the opportunity to imagine the world in ways she might not have done otherwise. Using one’s imagination is just another way amongst many of finding one’s self. When your child has a collection, she’s learning that there are things she’s solely responsible for. It isn’t your job to take care of your kid’s rocks, toys, or coins; that’s her job and when she has a collection, that’s something she’ll understand. Let her know that in addition to having fun she’s also learning valuable life lessons. Tell her you think it’s great that she wants to find herself; tell her you think it’s wonderful that she’s starting to realize her identity and potential all on her own. When you let her know that there’s value in what she’s doing, she’s going to learn the idea of value in general. Not only will your kid be able to find herself and cultivate her identity through her collection on her own, but it’ll give her the chance to further find herself through connecting with others. When your child has her own collection, she has something to share with her friends. It gives her the opportunity to connect with others by expressing her interests with her friends, and thus expressing herself in a healthy way. A collection gives her and her friends something to bond over. Not only that, but it gives your kid the possibility to teach and pass on her knowledge to other children. This works both ways; your kid can teach her friend about her collection, and her friend can do the same with whatever it is that her friend collects. Learning about yourself through others is one of the most invaluable and enriching ways to figure out who you are. If your child has a collection that makes her feel and understand that she’s unique, she’ll only gain a greater sense of validation and acceptance when she finds that other kids share her interests. Even if other kids don’t share her exact interests, it’ll give her the chance to understand that everyone is unique and has something that makes them special. Maybe there’s a few things in your kid’s collection that you’ll purchase yourself. But maybe you also want to have your kid grow her collection with the allowance she gets. If there’s only so much she can afford, she’ll have to really think through what it is that she wants instead of just splurging on what seems immediately appealing. Among the many valuable lessons your kid will learn, she’ll also learn the value of saving money and spending it wisely. Collecting is an excellent way for your kid to learn about themselves, and it also helps you learn about your kid. You get the chance to watch your kid develop her interests right before your eyes, and it’s very possible you had no idea she was interested in certain subjects or ideas in the first place. You might think to yourself “Wow, I had no idea my kid was so into nature,” “She’s interested in history? That’s so cool.” When your kid has her own collection, you’re learning more and more about her all the time. Not only will you learn about your kid and her interests, but you could very well get a bit of an educational experience for yourself. Maybe you’ll relearn all that science and history you knew when you were a kid but you forgot. You could very well learn facts about nature that you never knew before. You can learn about baseball, or maybe certain movies that your kid’s action figures are from. No matter what, your bound to pick up something you didn’t know before. Learning about your kid is probably the best way to bond. If you’re going to bond with anyone—regardless of it’s your child, a peer, or a friend—you’re going to have to get to know them. Getting to know your kid through her interests is a great place to start the bonding process. Not sure how to get the collection going? It’s really not that difficult to get it off the ground; all you have to do is ask about your kid’s interests. If you ask your kid what she likes and she just gives you a blank stare or says “I have no idea,” just start suggesting things and maybe you’ll get an answer out of her. All kids like something, so your kid probably does too. You don’t have to force anything on your kid by any means. Maybe she isn’t ready for a collection; if that’s the case than there’s no need to push her—no matter how great and bountiful the benefits are. But, chances are your kid’s going to be pretty excited about the suggestion of starting her very own collection.